All Blue Bell homes currently listed for sale in Blue Bell as of 04/21/2019 are shown below. You can change the search criteria at any time by pressing the 'Change Search' button below. If you have any questions or you would like more information about any Blue Bell homes for sale or other Blue Bell real estate, please contact us and one of our knowledgeable Blue Bell REALTORS® would be pleased to assist you. "Exciting opportunity to purchase the 1st RESALE IN WICKERFIELD ESTATES, situated on over 2 acres on one of the best lots in this Blue Bell enclave of amazing custom Manor Homes. This Outstanding 6 Bedroom, 3-Year-Old Stone Colonial with 4-CAR GARAGE & over 7500 sq ft including the Finished Daylight Basement with IN-LAW SUITE, built by Bentley Homes, has an open floor plan and fantastic upgrades throughout, including hardwood floors, 9' ceiling on both floors, custom millwork and high-end finishes. This SMART HOUSE features Control 4 computer screens in most rooms to control music, TVs and security with all equipment included. The spacious formal Dining Room features crown molding & a walkout bay window. The Living Room, Family Room & Kitchen are all open to each other for amazing entertaining flow. The formal Living Room offers the 1st of 3 gas fireplaces and the gorgeous Family Room provides the 2nd fireplace, coffered ceiling, wall-mounted TV & 2 sets of French doors providing exterior access. The Chef's DREAM KITCHEN is exquisite, featuring granite counters on the island & perimeter, stainless Bosch double wall ovens, microwave drawer, Wolf 6-burner commercial stove w/grill & hood, tiled backsplash, glass cabinets & Breakfast Room with French door accessing the rear of the property. A French door from the Living Room opens to the STUDY w/custom bookshelves. 2 Powder Rooms & a large MUD ROOM with back staircase complete the 1st floor. The MASTER RETREAT offers a Sitting Room with 3rd fireplace, gorgeous bedroom w/tray ceiling, 2 professionally organized walk-in closets & a luxurious Full Bath w/marble counters, soaking tub & Spa-Shower with multiple shower heads. 4 additional bedrooms feature en-suite Full Baths including 1 Jack and Jill. The 2nd Floor Laundry Room includes the washer and dryer plus built-ins and sink. The Daylight Lower Level includes an extra-large Recreation Room, 6th Bedroom/In-Law/Au-Pair Room w/nearby Full Bath, Playroom or 2nd Office & Gym"
"Truly a rare jewel surrounded by peace and tranquility. You are invited to view Hawkhurst. Don't miss this opportunity to live on a 3.3acres Country Estate surrounded by acres of bucolic nature and still be within minutes from major access roads. A gated entrance introduces you to a long tree lined driveway which expands to a full court yard where Hawkhurst in unveiled. A 3 story Georgian estate home has 7628 sq ft(5 bedroom/5.2 baths)of living space coupling old world charm w/ modern amenities. Entering the Center Hall immediately you become aware of the breathtaking views of the amazing surroundings only seen in the movies. The wrap around staircase with crystal chandelier adds to the dramatic sense of the home. For the collector of fine art and rare books this is the perfect canvass for these treasures to be displayed and enjoyed on the walls with superb lighting and the multiple custom bookshelves throughout. For the cook, take advantage of your fresh herbs, veggies and fruits from your outside garden brought directly to your large gourmet country kitchen w/fireplace,lg island and Viking stove. A multi tiered flagstone patio complete with fountains and sculptures enhance your outside dining experience. Off the kitchen an indoor lap pool complete with spa for the healthy minded owner or guest. On the far side of the home is a unique rm w/vaulted ceiling accented by indirect lighting great for a music room & private displays of your favorite masterpieces. In the private library an elevator servicing all 3 floors can be accessed here. Once you have ascended the stunning staircase you will find a spacious master suite w/fireplace, lg bathroom and fully furnished his and her closet. There are 2 additional en suite bdrms on this level. On to the 3rd floor is another den/family/game room along with 2 additional bdrms w/ Jack & Jill baths. A craft room, possible dark room & cedar closet finishes this floor. When viewing the home one is led to believe the architect's int"
"This impeccable estate boasts over 5 1/2 true park-like acres. Ideal seclusion, yet a short distance to anything you may need. Comfortably nestled amongst mature trees and sprawling greens, this spacious colonial has everything today's most savvy investor is looking for. Peace and serenity will overcome you as you ascend upon the home from it's long, winding driveway. As you pass the tennis court and take in the tranquil grounds, you feel like you are home. The 55,000 gallon pool is one of the largest pools in the area and has extended patios and decking. 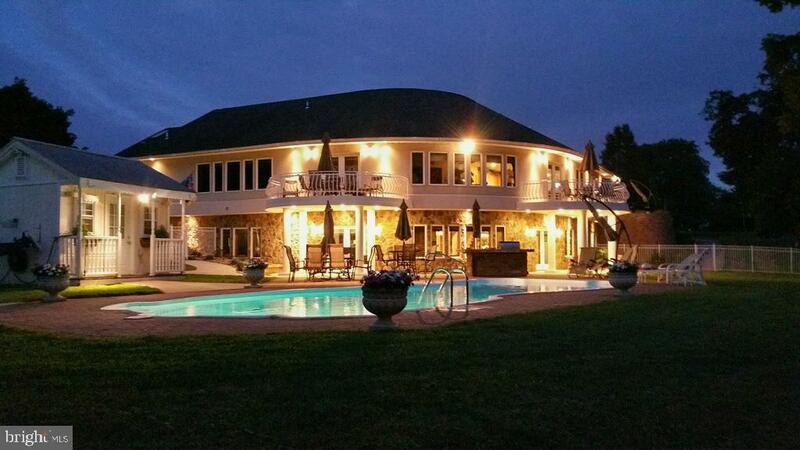 This home is set up for entertaining or one can merely enjoy the comfort of this 5 1/2 acre oasis. The property is tree lined, giving it natural fencing from its surroundings. The updated kitchen overlooks a great room, kitchen nook, dining room and all season sunroom. Great room is equipped with wet bar, ice maker, sink and fridge. There is a fireplace with tile surround, recessed lights and built-in bookcases. The sunroom has Pella windows, 8 sky lights, ceramic tile flooring and heat. The finished lower level has almost 2000 square feet of entertaining space and is equipped with sports bar, gaming areas, cozy rooms and full bath. All of the secondary bedrooms are spacious throughout with plenty of closet space. The master retreat has a dressing area fit for royalty with breathtaking views of the grounds. New roof, 3+ car attached garage with additional pull-down attic for storage, updated electrical & plumbing. The grounds have multi-zoned sprinkler system that runs off a separate well. The house has both public water and a well for grey water and more. Opportunity is knocking with this beautiful estate in Lower Gwynned. This comes with 2 lots, one lot is .93 acres and the other is 4.61 for a total of 5.54 acres. 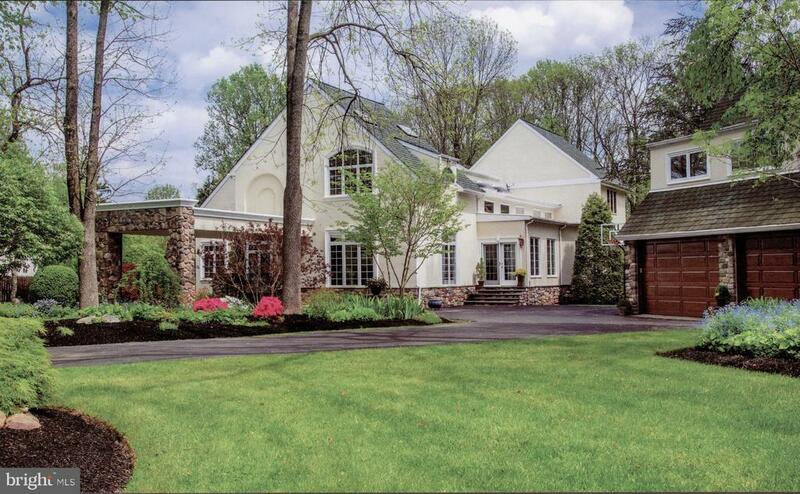 This 7000 square foot home has so much to offer. Come see it for yourself." "Presenting two exceptional home sites in one of the loveliest settings in Blue Bell. A rare diamond set between Camp Woods and Armentrout Preserves offers a golden opportunity to build your custom dream home with the areas leading custom home builder, Guidi Homes. The pinnacle of two decades of design refinement, these classically-inspired spaces for entertaining and gracious living feature distinctive roof lines, a cast limestone entrance, hand-crafted staircase, grand foyer, chef's kitchen, and more. Guidi Homes will work closely with you to customize your selected design to fully realize your vision. 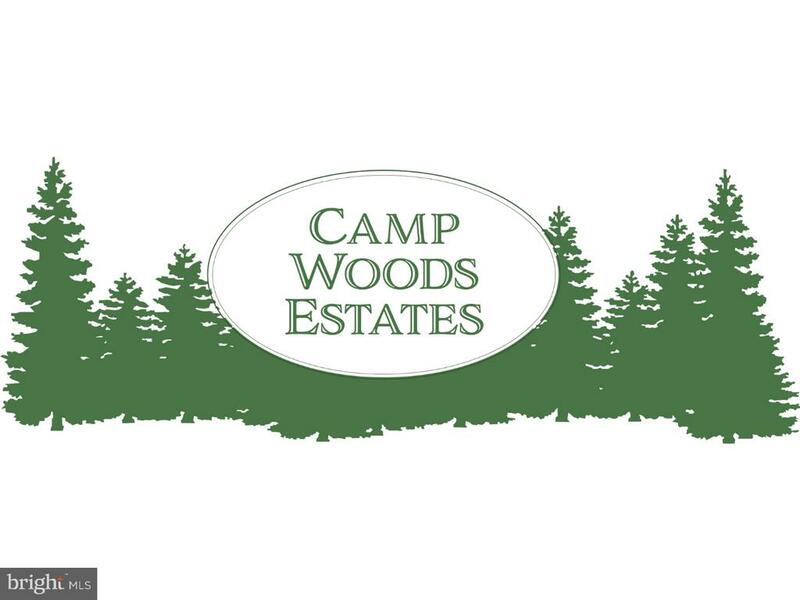 Conveniently located close to major roads, public transportation, and the permanently preserved areas of Camp Woods Preserve and Armentrout Preserve." 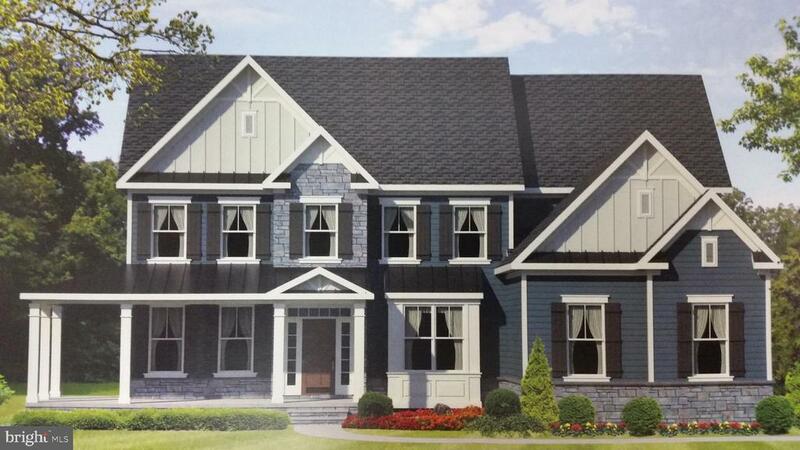 "Fantastic new construction to be built on a gorgeous 2.57-acre lot w/public water & sewer, situated at the end of a cul-de-sac in highly desirable Deerfield Estates, an enclave of 5 stunning custom Manor Homes located in the heart of Blue Bell. This exciting home w/stone & Hardieplank facade, 3-Car Garage & an open floor plan will provide over 5100 sq ft of superior standards including 10' ceilings on 1st floor & 9' on 2nd, custom millwork, solid core doors (8' on 1st floor) & wide plank hardwood floors thru-out the 1st floor. A custom paver walkway leads to the flagstone, covered front entrance opening to a 2-story Entrance Hall with one of 2 oak staircases leading to the 2nd floor. The fabulous gourmet kitchen features a center island plus quartz counters, chef-inspired stainless appliances, 42 cabinets & walk-in pantry closet. The Kitchen is open to the Morning Room & to the 2-story Great Rm w/coffered ceiling & the 1st of 2 gas FP, w/floor-to-ceiling stone surround. The spacious Dining Rm offers a walk-out bay window. A private study & a sensational Living Rm w/2nd FP create a warm environment to entertain or enjoy some quiet time. The Study can also function as an optional 5th Bedroom w/included full Bath & walk-in closet &, when combined w/the Living Rm, could create an entire 1st Floor In-Law Suite. The 2nd Floor features a luxurious Master Ste w/optional 3rd FP, private balcony overlooking the gorgeous rear grounds, 2 walk-in closets, coffee bar & Master Bath w/quartz counters, free-standing Roman tub w/Roman tub faucet & spa-like shower w/frameless glass door. The 2nd Floor Laundry Rm is located adjacent to the Master Ste. 3 additional Bedrooms w/2 full baths plus a rear oak staircase, complete the 2nd Floor. The Basement could easily be finished & includes an oak staircase plus a 2nd set of stairs leading directly to the Garage. Generous allowances provide for a security system & an irrigation system. Other superior features include multi-zoned heat & air "
"Open House Everyday, Call for Times. Located in the highly desirable & prestigious Oakhurst Community in Blue Bell, 1417 Royal Oak Dr is a gorgeous 4.5-acre property custom built by Michael Anthony builders. This beautiful, light-filled Colonial style home has a 5-bedroom Main House, with 4600 sq. ft. of living space and a 2000 sq. ft. finished basement, with an attached, but separate, 2500 sq. ft Carriage House. The Main House has an open hardwood foyer nestled between the formal Living and Dining rooms, each with 9' ceilings. Straight through the foyer, is the Great Room that features a wood-burning fireplace and a large window looking out to the picturesque backyard. The kitchen space is very open with granite counter tops, a large center island, and high-end appliances. In addition, the first floor hosts a study/home office, cozy television room, walk-in pantry, and full laundry room. The second floor Master Suite has a separate sitting room/office space, 2 walk-in closets and a recently updated bathroom with skylight. Down the hall, you'll find the Junior Suite with its own full bath, and three more bedrooms that share a full hall bathroom and multiple closet spaces. The finished basement is ideal for hosting with its full wet bar and stools, a double use skating rink/golf driving net, television sitting area with a gas fireplace, and 10x20 hardwood gym space. Finishing up the main house is a three-car attached garage, beautiful landscaping, a rear patio with scenic view, all adding to the uniqueness of this home's design. Truly must be seen to be appreciated! The quaint, yet open carriage house is perfect as a guest house, for an au-pair or for in-laws. Attached by a covered breeze-way, it has 3 bedrooms, 3.5 bathrooms, and a two-car attached garage. 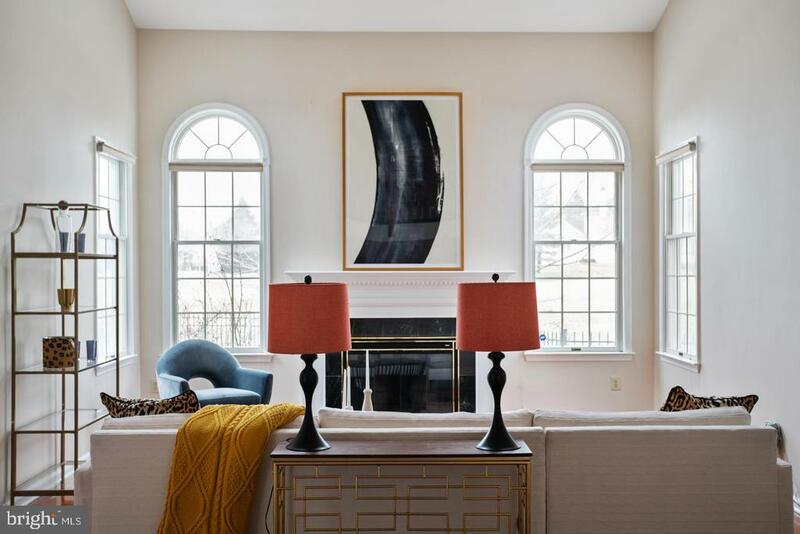 Top ranked Wissahickon School District, central to all beautiful Blue Bell has to offer including shopping, dining, and the charming town of Ambler make this a must-have home." 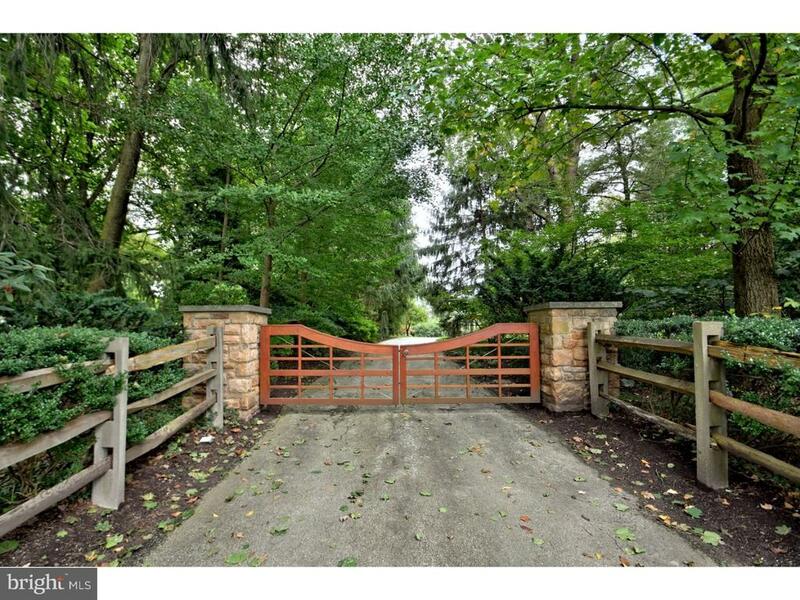 "Build your own custom home on a beautiful piece of land in Wissahickon School District. Come out to view this 2.6 acre lot in Blue Bell." "Refreshed, and READY for the Spring Market! 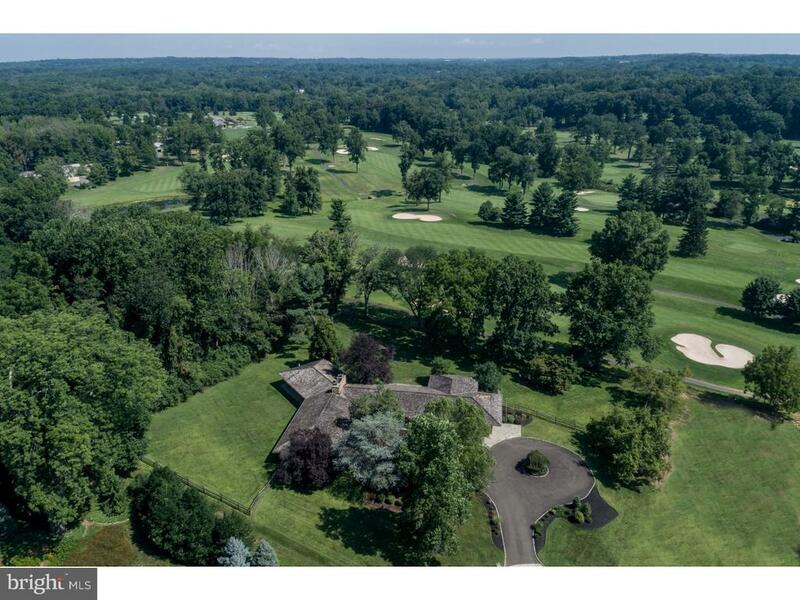 Nestled on one of the most desirable (no outlet) streets in Whitpain Township, is this perfectly perched PRIVATE 1.72 Acre parcel featuring a light-filled, custom Contemporary home with 7200 sq. ft. of living space, Indoor Pool, and Carriage House hosting 800 sq. ft. apartment ready to host an au-pair, in-law or that dependent who will never leave home. Main House has exquisite curb appeal with its' circular drive, porte cochere, and a covered front-porch with flagstone entry. Open Foyer with Italian Verde marble offers a snapshot of the formal Living and Dining Rooms, each with 10' ceilings, exquisite moldings, hardwood flooring and sliding glass doors to the side yard. Large 1st floor Study has glass paneled doors, and a separate egress to allow space for a main floor bedroom, or professional home office. Spacious Kitchen, and adjacent Great Room with a gas fireplace and floor to ceiling river rock, can be host for endless parties and entertainment! Granite topped counter, large center island, walk-in pantry, high end appliances, and quick access to the 1500 sq. ft. flagstone patio with built-in gas grill AND wood-burning, OUTDOOR fireplace are the basics for all year-round enjoyment. Floating staircase leads to the 2nd level bridge with all en-suite bedrooms. The Master Suite has skylights, custom built-in cabinetry, large 12 x 8 walk-in closet and glass sliders leading to a balcony with views of indoor pool. MBA has his/her vanity, jetted tub, and stall shower with multiple jets and rain head shower. Two additional bedrooms have updated bathrooms with adjoining access to a third floor loft/playroom area. Fourth bedroom is oversized, and includes a full bath with steam shower, walk-in closet and expansive views of the beautiful, rear yard. Lower level highlights a 16 x 20 gym, steam shower, dressing area, 2nd Laundry Room with a doggie washtub, and mechanical room. 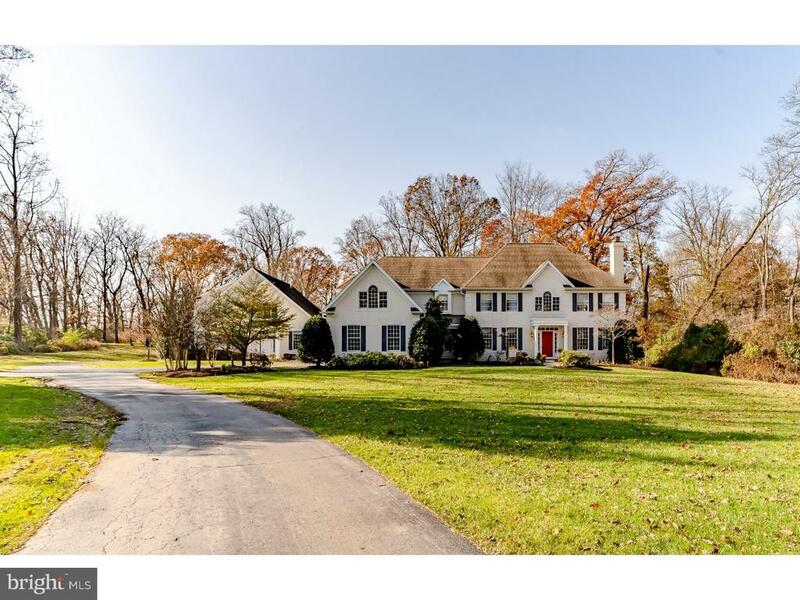 Two car, detached garage is both heated and coo"
"This elegant estate home situated on 1.76 acres in Lower Gwynedd is rich with history, and is the perfect blend of old world charm and character married with modern updates and conveniences. The entire house has recently been refreshed with beautiful new paint colors throughout. The original Main House was built in 1827 and it has been seamlessly blended with an addition designed by the renowned architect R.A. Hoffman in 2004. Staying true to its early 1800's roots, you will find the home has all the sophisticated touches you'd expect to see like random width hardwood flooring, classic crown and dental moldings, oversized baseboards, multiple fireplaces, built-in shelving & cabinetry, original Mercer Tiles, and loads more! Chef-inspired gourmet kitchen with custom-built cherry cabinets, granite countertops and island, 6-burner stainless steel Wolf Stove, stainless steel Wolf double wall oven, 36 Sub Zero Fridge and 36 Sub Zero Freezer, 2 Asko dishwashers, and a Gaggenau Steamer; truly a dream kitchen. In addition to the kitchen and great room, an oversized formal dining room with an elegant crystal chandelier has plenty of room for your guests. Relax in the living room by the fireplace or open one of the French doors and spend some time in the bright solarium enjoying the perfect views that this property offers. Upstairs, the owner's suite features a gas fireplace as well as a separate dressing room plus 5 additional bedrooms on the second and third floors. There is a separate suite (perfect for an au pair suite or home office) located on the second floor of the addition with large great room, separate bedroom, full bath and loads of storage. An oversized 3 car garage with additional storage space round out this incredible home. Conveniently located within walking distance to Penllyn Station for an easy hop to Center City, and a short drive to the now open Whole Foods, local restaurants and shops. Truly a property not to be missed!" "Welcome to your resort paradise located in Blue Bell! This is the perfect home for entertaining. Semi circular home with two balconies swimming pool, cabana with powder room and Tiki bar. Bocce ball court, shuffle board court. Two large outdoor storage containers and two garden sheds. Open floor plan. Custom made bar and game room in the basement. Has an office in the basement with a built in bank vault. This room could be another bedroom has an attached full bathroom. First floor has an open floor plan with 3 full bedrooms and 3 full bathrooms. Access to large porch off of the kitchen. There is a powder room in the sepa2 car garage. All doorways are 36 wide to accommodate a wheel chair. It also has a whole house generator. Enjoy the privacy and one acre pond. Close to churches, police, firehouse, hospitals, shopping, restaurants, major roadways and public transportation. Award winning Wissahickon School District. Truly a pleasure to show. No detail has been overlooked!" "Welcome to these fabulous, quality built new construction homes in desirable Blue Bell and the highly regarded Wissahickon School District. An amazing opportunity awaits for you to build your dream home. Situate on close to an acre of land this luxurious home has so many standard features such as a 3 car garage, a walk-out basement, finished 3rd floor, upgraded hardwood floors on the entire first floor, a gourmet kitchen featuring upgraded cabinets, level 3 granite counters, stainless steel appliances, subway tile backsplash, 2 powder rooms and so much more. The spacious family room features a floor to ceiling stone fireplace with an adjacent study/office. Additionally, you'll find an elegant living room featuring crown molding and a spacious dining room featuring crown molding and chair rail. You'll love the full sized mudroom and 2nd powder room that complete the first floor. Step upstairs to the luxurious master suite featuring 2 walk-in closets with organizers and a sumptuous master bath featuring upgraded tile. Plus there's a guest suite featuring a full bath, 2 additional nice sized bedrooms, hall bath and a full laundry room that complete the 2nd floor. Additionally, there's a finished loft on the 3rd floor. Request a brochure today. This is the new construction you've been waiting for! Visit our website for further information cathcartestates.info"
"Spacious California Style Ranch on private end-of-lane setting with sweeping views of the 17th fairway of Cedarbrook Country Club and beyond. This special one story property is open concept with nearly every room experiencing unobstructed idyllic views. Natural light abounds with floor to ceiling windows and sliders throughout giving a retreat like feel. With over 4100 square feet, this custom home has been thourougly renovated and features quality updated chef's kitchen with granite counters and professional grade appliances. Living Room/Dining Room/Kitchen/Family Room all have access to massive flagstone terrace overlooking meticulous grounds and is perfect for entertaining. Master Bedroom Suite also has access to rear yard, spacious closets, dressing area and bathroom. Two additional spacious bedrooms share a jack and Jill bathroom and have built in closet organizers. Other features include: hardwood floors, full house generator, family room with fireplace, 2 car garage with inside access, spacious laundry room, partial basement, circular driveway and fabulous koi pond. This is truly a special home located in Blue Bell and close to major arteries, schools, shopping and dining. Available immediately"
"Brick Colonial with elegant curb appeal in the Prestigious location of Blue Bell within Wissahickon School District. Private driveway leads to gracious mature setting and a stylish home with brick walkways, white picket fence, gardens, pool with pool house, hot tub in private gazebo, large deck area for entertaining, awning and solar heat for the pool. 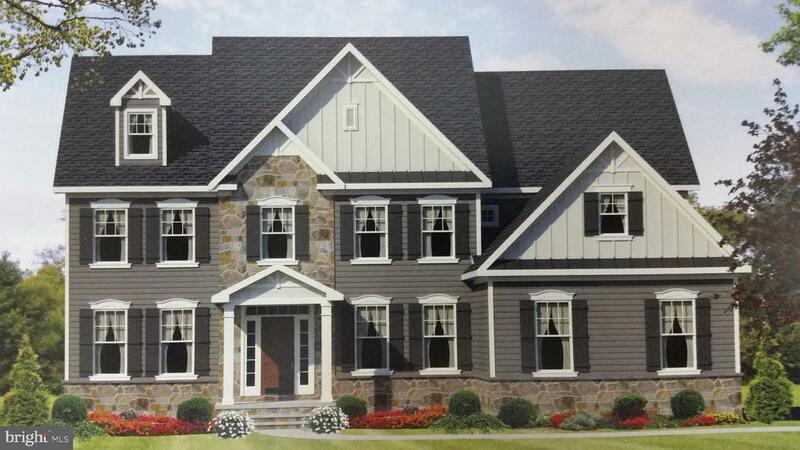 Williamsburg entry with two story foyer area. Foyer, Living and Dining rooms with detailed mill work that enhance the exquisite detailing highlighting the grandeur of these areas and fireplace. Charming kitchen with walk-in brick fireplace, walk-in pantry, solid wood cabinets with a few glass cabinets island and rich paneling, garden window and exposed beams. Sunken Family room with vast fireplace with mantle, bay window and access to deck area is positioned just off the kitchen. The room to the far end of the kitchen could be a 5 bedroom or a study. Main bedroom with fireplace, custom mill work, Separate room with multiple storage options and window seat, elegant bathroom. Hardwoods throughout, newer windows and roof, multiple zone of heat, built in audio system, theater wiring, cedar closets, new irrigation system, Salt water pool, hot tub. Finished basement with mini split climate control. Professional landscaping. Tranquil setting but close to shopping, restaurants, train and all major roadways in Whitpain Township." "Magnificent New Custom Construction by Better Living Homes Inc. Photos are only an example of front elevation and interior with possible upgrade selections. 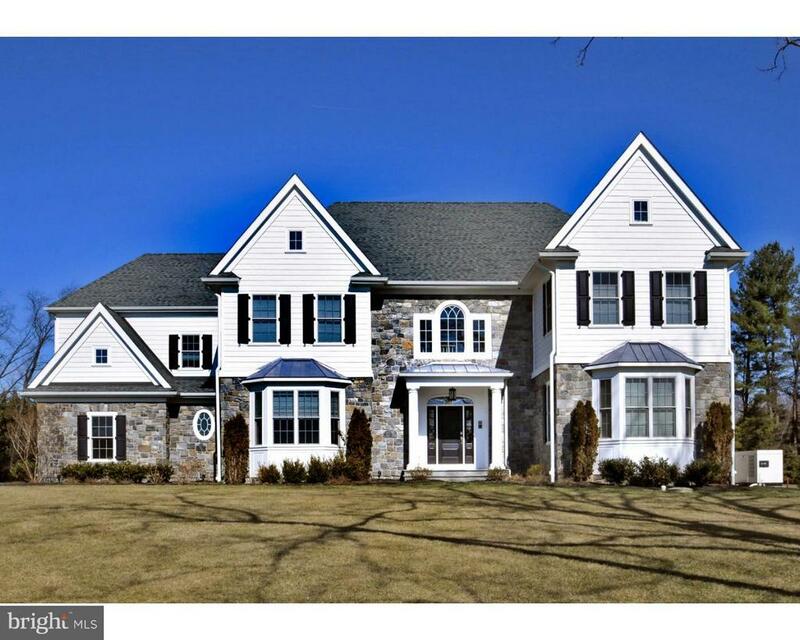 Amidst lush woodlands of Whitpain Township you'll find a private new development Ashwood Estates offering the ultimate in privacy and luxurious living.... Rear lot only Front lot Sold. 2 New elegant estate residence are planned for construction along a quite and prestigious setting. 2 New stunning designs now being offered loaded with modern amenities, vaulted and open interior spaces throughout, gas fireplace in the great room. 2 Panel interior doors, rich hardwood flooring, Granite center island kitchen equipped with stainless- steel appliances package gas cooktop range, microwave, double oven & dishwasher. Quality Century kitchen cabinets with 42 wall cabinets and spacious breakfast area, 1st floor study,9' ceilings on first floor. Lavish master suite on 2nd floor & much more. Look no farther for superior quality and fine craftsmanship that living well brings to mind in a very special setting in Blue Bell. Only 1 house remains to be built within this limited offering.... call for brochure today or meet the builder to review your house plans. Pictures are example of Builder's Quality Craftsmanship." "New Britain model featuring outstanding standard features..... Deep private lot in a Great Blue Bell location. Custom Construction by Better Living Homes. Rear lot available only front lot Sold. Photos are only an example of front elevation(wrap around porch would be an upgrade and interior with possible Upgrade selections. 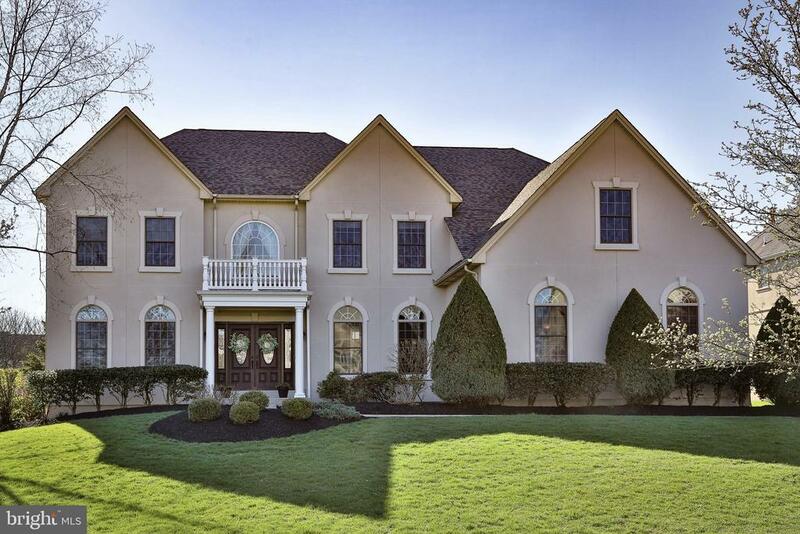 Amidst lush woodlands of Whitpain Township you'll find a private new development Ashwood Estates offering the ultimate in privacy and luxurious living....2 New elegant estate residence are planned for construction along a quite and prestigious setting. 2 New stunning designs now being offered loaded with modern amenities, vaulted and open interior spaces throughout, gas fireplace in the great room. 2 Panel interior doors, rich hardwood flooring, Granite center island kitchen equipped with stainless- steel appliances package gas cooktop range, microwave, double oven & dishwasher. Quality Century kitchen cabinets with 42 wall cabinets and spacious breakfast area, 1st floor study,9' ceilings on first floor. Lavish master suite on 2nd floor & much more. Look no farther for superior quality and fine craftsmanship that living well brings to mind in a very special setting in Blue Bell. A limited offering call for brochure. Pictures are example of Builder's Quality Craftsmanship." "Welcome to these fabulous, quality built new construction homes in desirable Blue Bell and the highly regarded Wissahickon School District. An amazing opportunity awaits for you to build your dream home. Situate on over an acre of land this luxurious home will have so many standard features such as a 3 car garage, a walk-out basement, upgraded hardwood floors on the entire first floor, a gourmet kitchen featuring upgraded cabinets, level 3 granite counters, stainless steel appliances, subway tile backsplash and 2 powder rooms and so many more custom features. The spacious family room features a floor to ceiling stone fireplace with an adjacent study/office. Additionally, you'll find an elegant living room featuring crown molding and a formal dining room featuring crown molding and chair rail. You'll love the full sized mudroom and 2nd powder room that complete the first floor. Step upstairs to the luxurious master suite featuring 2 walk-in closet with organizers and a sumptuous master bath featuring upgraded tile. Plus there's a guest suite featuring a full bath, 2 additional bedrooms that share a bath (jack n jill scenario) plus a full sized laundry room that completes the 2nd floor. Request a brochure today. This is the new construction you've been waiting for! Please note the existing home on this lot will be knocked down. 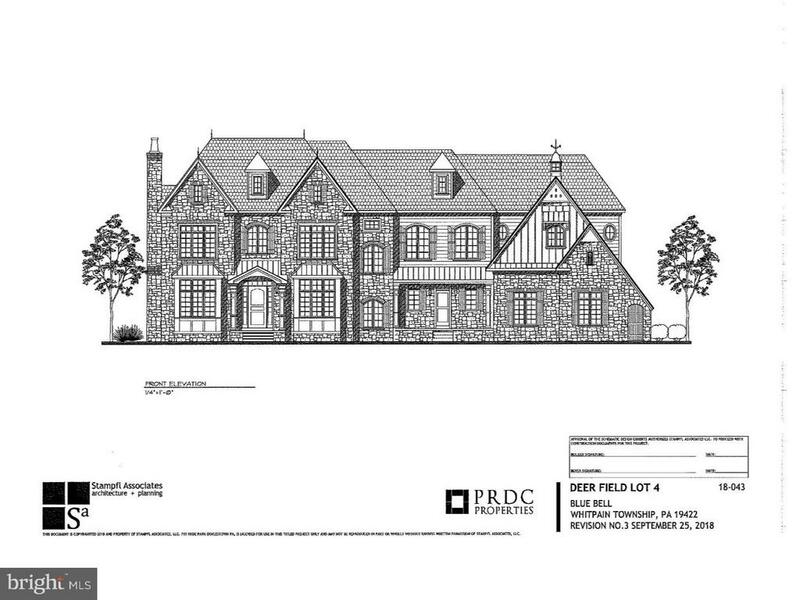 Visit our website for further information cathcartestates.info"
"Welcome to these fabulous, quality built new construction homes in desirable Blue Bell and the highly regarded Wissahickon School District. An amazing opportunity awaits for you to build your dream home. Situate on close to an acre of land these luxurious homes will have so many standard features including upgraded hardwood floors on the entire first floor, a gourmet kitchen featuring level 3 granite counters, stainless steel appliances, subway tile backsplash, 3 car garage, walk-out basement, 2 powder rooms and so much more. The spacious family room features a floor to ceiling stone fireplace with an adjacent study/office. Additionally, you'll find an elegant living room featuring crown molding and a spacious dining room featuring crown molding and chair rail. You'll love the full sized mudroom and 2nd powder room that complete the first floor. Step upstairs to the luxurious master suite featuring 2 walk-in closets with organizers and a sumptuous master bath featuring upgraded tile. Plus there's a guest suite featuring a full bath and a 2 additional bedrooms that share a bath (jack n jill scenario) plus a full sized laundry room that complete the 2nd floor. Request a brochure today. You'll be impressed with all the custom features. This is the new construction you've been waiting for! Visit our website for further info cathcartestates.info"
"Magnificent New Custom Construction by Better Living Homes Inc. Photos are only an example of front elevation. 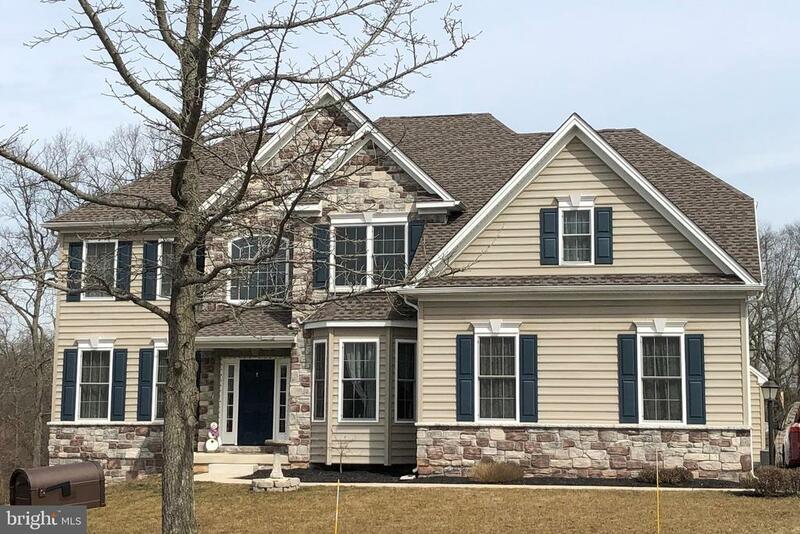 Fieldcrest II ( Stone on small A only standard ) Amidst lush woodlands of Whitpain Township you'll find a private new development Ashwood Estates offering the ultimate in privacy and luxurious living.... Rear lot only Front lot Sold. 2 New elegant estate residence are planned for construction along a quite and prestigious setting.New stunning designs now being offered loaded with modern amenities, vaulted and open interior spaces throughout, gas fireplace in the great room. 2 Panel interior doors, rich hardwood flooring, Granite center island kitchen equipped with stainless- steel appliances package gas cooktop range, microwave, double oven & dishwasher. Quality Century kitchen cabinets with 42 wall cabinets and spacious breakfast area, 1st floor study,9' ceilings on first floor. Lavish master suite on 2nd floor & much more. Look no farther for superior quality and fine craftsmanship that living well brings to mind in a very special setting in Blue Bell. Only 1 house remains to be built within this limited offering.... call for brochure today or meet the builder to review your house plans. Pictures are example of Builder's Quality Craftsmanship." "Beautiful, light and airy home boasts 6 bedrooms, 4 1/2 baths on an acre-plus lot in a cul de sac community in desirable Blue Bell. Oak and bamboo floors throughout the first and second floor. Gourmet kitchen with custom cabinetry and wet/dry bar opening to vaulted family room. First floor space includes living room, music/den, dining room and first floor bedroom with full bath. A fabulous gated courtyard opens off the back of the house, an entertaining dream. Split second story has spacious master suite with luxurious bathroom and separate study with balcony. An additional four bedrooms and two bathrooms also included on second floor. The finished basement provides additional entertaining room and storage. Three car attached garage with inside access. Wissahickon School District. Showings start April 7 at open house, 1-3 p.m."
"You'll love waking up in this wonderful Windermere Colonial beautifully sited on a level 1/2 acre offering nearly 5200 sq. ft. of updated, renovated, and REFINED living space including 4 Bedrooms, 4 Full, 2 Half Baths, and a 3-Car Attached Garage with separate Mudroom access. The DRAMATIC two-story entrance offers a quick snapshot of the high level of finishes and improvements these sellers have incorporated into this once basic colonial. The penultimate in floor design, this home~s layout is an entertainer~s dream, yet fully functional too! There are so many highlights that it's difficult to pick just one; however, the less than 6-month renovation of this kitchen might be at the top-at least on the first floor! The light-filled kitchen with granite-topped center island hosting TWO dishwashers and room for four is surely the focal point, but don't discount the custom 42 custom cabinetry, thoughtful backsplash with instant HOT pot filler, and a butler~s pantry with a beverage cooler too (read: wine). The decorative lighting is an added bonus, but you'll quickly note that this is the level of detail found throughout this home. The Great Room is hardly a wallflower with its' floor to ceiling, stacked-rock encased Gas Fireplace, arched windows and 18' Ceiling. It is the epicenter and flows beautifully to the Kitchen, Study and the Formal Living and Dining Rooms as well. The Second Floor is host to an AMAZING Master Suite. This grand space opens to a Sitting Area, Bedroom, Two Walk-In Closets, additional Double-Doored Sitting Room or Home Office and EXQUISITE Master Bathroom. Restoration Hardware has asked us for compensation since the bathroom appears to have been replicated from one of their showrooms. Frameless glass surround, Separate Vanities, Soaking Tub, Tile wainscoting, and RADIANT heated flooring complete this beautiful space. The additional bedrooms are all spacious and include an en-suite as well as two other spacious bedrooms sharing a fully renovated, ful"
"Open house Sunday April 14, 1-3pm and price improvement! Stucco inspection performed and repairs already made so this house is ready to go! 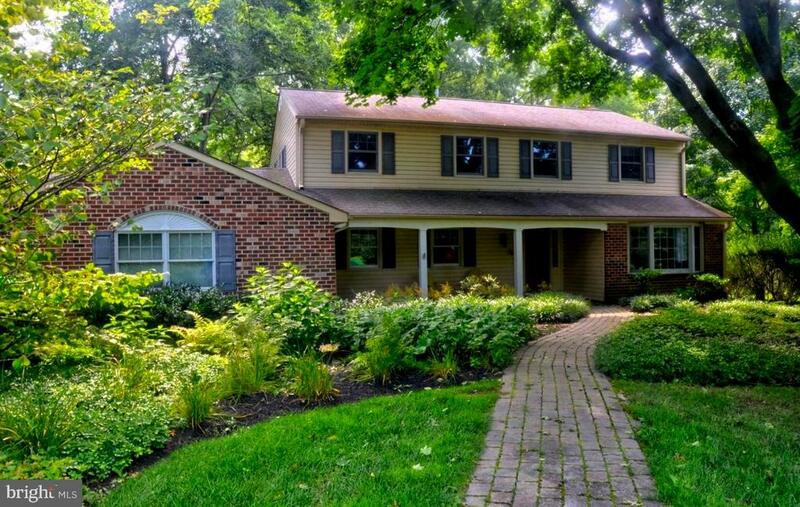 Curb appeal, location, cul-de-sac, and a great floor-plan in Wissahickon Schools! 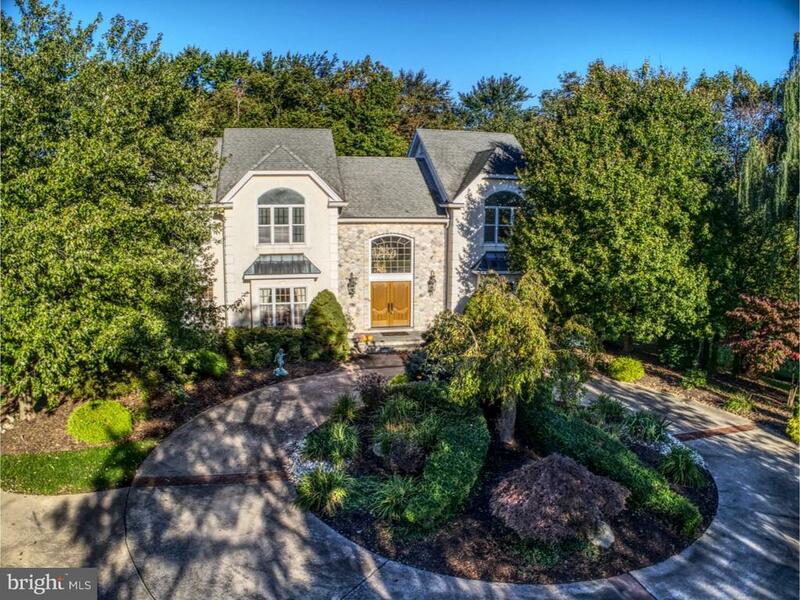 Located on 1.29 acres of lush, gorgeous landscaping and quiet serenity, this home sits on one of the premier lots in the prestigious Estate Homes of Whitpain. Offering 4 bedrooms, 4.5 bathrooms with approx. 5,500 sq. ft. of living space, including the full finished basement. You will notice that this home stands out from the rest as soon as you pull-up, with the charming stone and stucco exterior and the large circular driveway leading right to the front door. Upon arrival, you are greeted by a grand 2-story entryway with formal living & dining rooms on either side. The open floor plan is excellent for entertaining guests and the sizeable kitchen w/ stainless steel appliances, double ovens & sinks, corian countertops, recessed lighting and multiple workstations, is a chef's dream. Step outside through the sliding doors and prepare to be wowed by the exquisite fenced-in and flat backyard with expansive slate patio, featuring a magnificent outdoor 2-story stone fireplace and an additional fire-pit area. Back inside, the kitchen also opens up to the extraordinary vaulted great-room with a beautiful marble gas fireplace, nice for cozying up on cold nights. A separate office area, laundry room and powder room complete the first floor. Front and back staircases provide access to the 2nd floor, which hosts 4 large bedrooms and 3 full bathrooms. The master bedroom has plenty of professionally organized closet space and bathroom with soaking tub, stall shower w/ steam unit, stone countertops & double sinks. Another full spa bathroom is located in the huge finished basement area, making it easy to hop right in after a workout in your own home gym. The basement also provides additional entertaining areas for movie watching and rec with the full wet bar, incl"
"Simply spectacular updated colonial home with a private setting in the heart of Gwynedd Valley and a cul-de-sac location. Every room is a combination of warmth and charm. You are welcomed into this gracious home through an inviting grand front foyer. Flanked by the gracious living room and large spacious formal dining room. Meander toward the kitchen to the den/lounge area which features a wood-burning fireplace and built-in shelves. The custom kitchen features a huge 10' x '4' island with silstone counter and hardwood table for the seating area at one end and gorgeous knotty alder wood cabinets, The remaining counters are soapstone and are tastefully accented by the custom tile black splash. The custom range hood adds a beautiful touch to the kitchen decor. The kitchen floors are a neutral tile which extends to the first floor full bath and into the expansive office with a large storage closet. Completing the first floor is a huge great room accessed from the den with floor to ceiling windows overlooking the park-like setting and which includes a cozy gas fireplace with custom Eastlake Mantle for cold winter evenings. You are ushered upstairs throughout the 2nd level with three large bedrooms with ample closets a cedar lined closet in the hall, full updated hall bath, and expansive master suite. The master suite includes two walk-in closets, an over-sized laundry room and a huge master bath featuring two large vanities with granite counters, a large shower, and an over-sized soaking tub. The backyard has been transformed into an Oasis with the extensive landscaping and provides access to the delightful backyard which is an entertainer's dream. The yard features a multi-level deck that leads to the custom gunite pool with separate spa and waterfall/slide feature. Wander down the walkway to the pool with your breakfast coffee or just a place to escape...in almost any season. There is an expansive patio that is next to the cabana which features a full bath,and a kitch"
"Truly charming home in the gated community of Windermere. This home offers 5 bedrooms, 4 full baths and 1 half baths, finished third floor and full finished walkup basement with wet bar. This center hall traditional if flanked by a bright living room on the right and and oversized office/study on the left. The home features a grand foyer with turned staircase, tile floor, gourmet kitchen with corian counter tops, double ovens, 6 burner stove, Stainless steel Refrigerator, beautiful backsplash, very large pantry and lots of cabinets and separate breakfast area. It is surrounded not only by the sunroom but to the right is the dining room with chair rail and hardwood floors. The great room has a stone/wood surround gas fireplace, hardwood floors, vaulted ceiling, 2 story windows, skylights and a back staircase to the 2nd and third floors. The 2nd level has 4 bedrooms and 3 full baths. The master suite includes a spacious sitting room, two walk-in closets, and a bathroom with a large jacuzzi tub, large shower, and his and her vanities. Walk-up finished attic offers a great area for a playroom/additional bedroom with a full bath. On the 3rd floor you will find a 5th bedroom with a full bath and a large walk in closet. This is a great area for a playroom and perfect for the young adults involved in gaming. Custom designed lower level has a game area, full gym and Billiard room with amazing full wet bar with refrigerator, wine closet, full bath, and plenty of additional storage. Off of the laundry there is an attached 3 car garage and much more. Windermere is a private gated community with easy access to all major roads and shopping. Excellent Blue Ribbon schools! Stucco has just been remediated with 10 year warranty. There is a large generator and an irrigation system installed. A large cement wall surrounds the back yard for privacy. Next to the right side is a beautiful treed lot which allows for more privacy and is part of the homeowners association." "Welcome to the Blue Bell Country Club Community, a secure gated community of 849 homes in 14 town, carriage and single home villages surrounding one of the area~s most stunning private country club golf courses. Nestled in the heart of a tree-lined cul-de-sac overlooking the 17th Fairway, sits 106 Cypress Point Place, the most prestigious expanded Philmont Grande model in the village of Augusta, comprised of 59 single estate homes. Originally the model home for the community, this home is larger than most and features a coveted two story in-law suite with full kitchen and separate entrance. Upon entry, the distinctive center hall anchors the formal living room with the sunny dining room. Gleaming hardwood floors, dramatic cathedral ceilings with skylights and a stately fireplace add elegance to the Great room. The gourmet kitchen is fit for a chef and outfitted with top-of-the-line stainless steel appliances, 42~ Yorktown cherry cabinets, sleek granite countertops and sliders overlooking an outdoor oasis. The yard is wonderfully landscaped and the EP Henry paver patio overlooking the in-ground pool and spa area is perfect for grilling and dining al fresco. Upstairs find four spacious bedrooms with two renovated Jack-and-Jill bathrooms and a Master Suite with spa-like bath with whirlpool tub and stall shower and a spacious walk-in closet. Downstairs, the finished basement recreation room with a regulation-sized billiards table and custom home theater are an entertainer~s paradise. The Blue Bell Country Club Community Association is second to none and has received the coveted rating of Gold Star Community as designated by CAI, Community Associations Institute, PA Delaware Valley Chapter. The HOA includes a community center, fitness center, three pools, three lighted tennis courts and two basketball courts. For an additional fee, the Arnold Palmer Signature golf course is one of only three layouts designed by Palmer himself in the Greater Philadelphia Area. The 18-hole"